Every four years, the NFRMPO updates its long-range Regional Transit Element (RTE). The 2045 RTE combines subjective and objective data to make recommendations to achieve a future, successful regional transit system within the black boundary in the map below. Instructions: Please respond to the following questions as accurately as possible. If responding on someone’s behalf, you may complete a separate survey for yourself. * 1. Please provide your home zip code. * 2. Please mark the communities in which you work, shop, recreate, etc. * 3. Please mark your age bracket. * 4. For the purposes of this survey, transit includes local buses like COLT, GET and Transfort; regional buses like FLEX and Bustang; paratransit; and volunteer services like SAINT and Senior Resource Services (SRS). Based on this definition, have you ridden transit in the last six months? If no, please skip to Question 7. * 5. Please select the transit service you have used in the past six months and identify how often you typically use each service. Mark N/A if you never use the service. * 6. Please mark the reason(s) you use transit most often. * 7. Please rank the reasons that prevent you from riding transit, with "1" being the most important reason and "6" the least important. * 8. What changes to the region's current transit system would positively impact how often you ride transit? * 9. Please list regional destinations not currently served by transit you would like to see served by transit in the future. * 10. 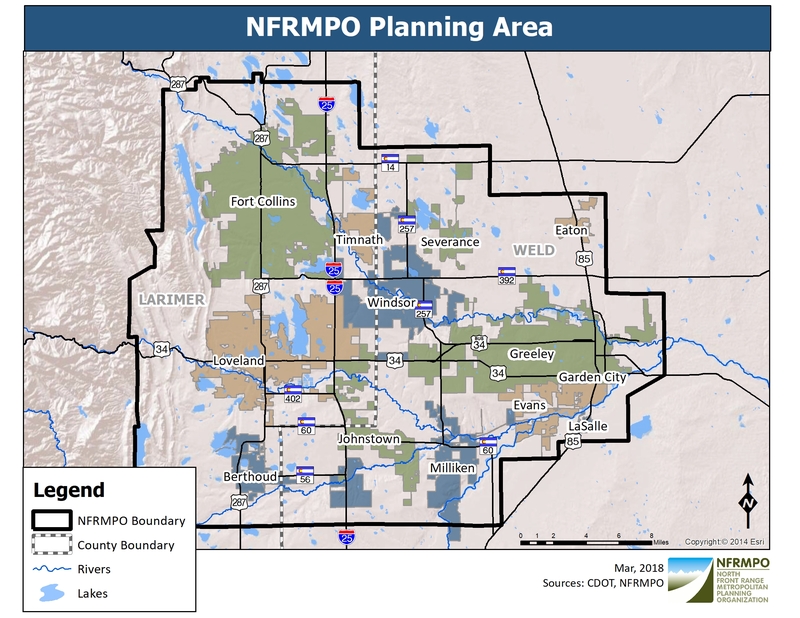 Would you be interested in receiving future updates about the 2045 Regional Transit Element via the NFRMPO newsletter? If yes, please provide your email address here.